There’s no denying the immense popularity of Irish Whiskey, a spirit that has a lot of flavor but manages to be light and affable. Irish Whiskey mixes well (especially with ginger ale) but is also quite easy to enjoy all on its own. Over the past few years, we at Drink Spirits have done extensive Irish Whiskey tastings all with one goal: to find the very best in Irish Whiskey. 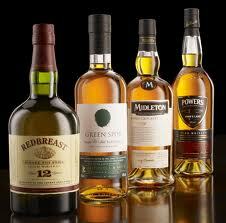 Here’s our list of the Top 10 Irish Whiskeys for you to seek out this St. Patrick’s Day.